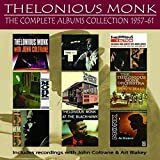 No THELONIOUS MONK online videos available. Search and add one now. Who's Afraid of the Big Band Monk? 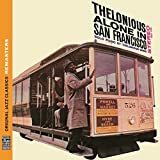 “Thelonious Monk/Sonny Rollins” is one of those thrown together affairs pulled from three different sessions, in fact Rollins does not even appear on every track. Such records are often unsatisfactory, but this one is different as it presents a very coherent musical vision. Some ‘experts’ call this an EP, while others call it an LP. The truth is, with about 18 minutes on the first side and 16 on the back, it falls sort of in between, but possibly closer to an LP. The first recording session for this record took place in November 1953 and featured the Thelonious Monk Quintet, of which Rollins was a member. The second session was in September ‘54 and featured Monk’s trio sans Rollins of course. The last session was in October ‘54 and featured the Rollins’ quartet, of which Monk was the pianist. The track order on this record mixes these sessions up in a way that makes total sense and adds to the feeling of a congruous record. 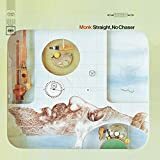 The playing on here is brilliant, Monk’s career was nearing a peak and he sounds relaxed and happy, far different from the inconsistent performances that came much later in his career. Rollins is also in fine form, supplying endless melodic variations over Monk’s more blunt and percussive accompaniment. 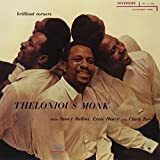 The Monk trio cuts feature Art Blakey on drums, whose short solos are inventive displays of metric trickery and phrase manipulation that is a perfect compliment to Monk’s approach to music. The choice of tunes on here is also good. Side one opens with Rollins joyfully flying over two well known upbeat standards, and closes with the Monk trio playing a lesser known Monk original, “Work”, that is quite abstract compared to the two openers. 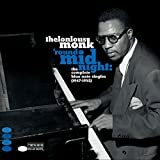 Side two opens with Monk’s trio playing “Nutty”, a piece that appears on many Monk recordings, and closes with his quintet playing another odd Monk favorite, “Friday the 13th”, on which Rollins shows he can easily handle Monk’s peculiar musical creations. This may not be the top record that Monk put out, but it holds up well against many of his best. 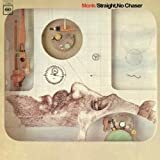 Not only is “Brilliant Corners” one of Thelonious Monk’s best albums, but its also considered one of the better recordings in the history of jazz. 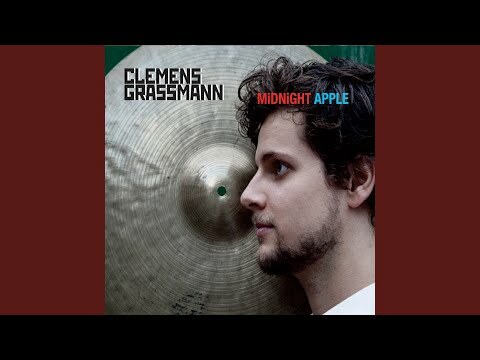 Don’t expect a lot of fireworks from this one though, instead, most of these blues based tunes are played in laid back medium tempos, or even slower, but do expect maximum creativity and a brilliant ensemble that moves together as one mind. 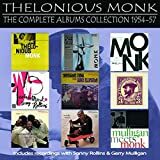 Monk does have a particularly strong crew assembled here, with Sonny Rollins and Max Roach on board, plus Ernie Henry and Oscar Pettiford are no slouches either. Clark Terry and Paul Chambers replace Henry and Pettiford for one cut, but they too are up for the great interplay that goes down on this disc. The album opens with the title cut “Brilliant Corners”, and what a tour de force this one is. 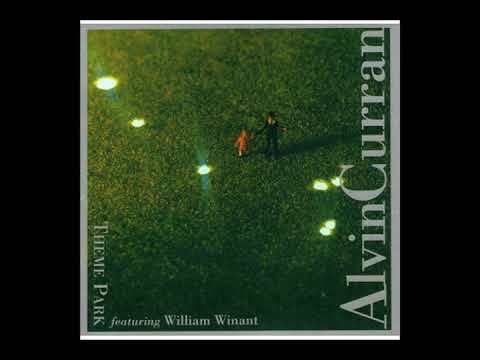 This composition has Monk working with rapidly changing tempos and time signatures, such things may be more common today, but this was fairly new ground in 1957, and “Corners” still sounds very modern and ‘cutting edge’ today. This is followed by the laid back avant-blues of “Ba-lue Bolivar Ba-lues-are”. Although “Bolivar” may not be as radical as the album opener, it still leaves plenty of room for ‘Monkish’ off-kilter solos and slippery interactions. Side two opens with the ballad like “Pannonica”, on which Monk plays the delicate bell like celeste. 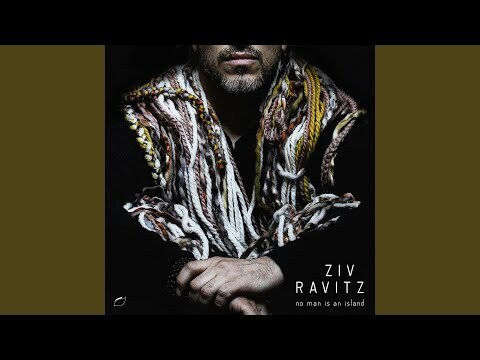 His odd approach to harmony sounds even more peculiar on this keyboard, the resultant exotic sounds might have you thinking that we are now in a universe parallel to Sun Ra. “I Surrender Dear” is a standard that Monk plays in old school stride style and it is the only non-original piece on the album. Its presence acts as an interesting contrast to the more ‘out there’ aspects of the other numbers. The album closes with the Afro-Carribean flavors of “Bemsha Swing”, on which Max plays rumbling tympanies behind the soloists. 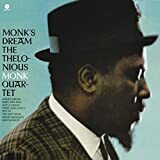 Monk’s second solo after the trumpet is just splashes of sound and color, foreshadowing the world of avant-garde jazz that was right around the corner in ‘57. If you want to hear why so many jazz fans get effusive when discussing Thelonious Monk, give this one a spin. This review is written using the double LP version of this recording. I would imagine when most Monk fans see the 1969 recording date on this album, they not only approach with caution, but probably assume this is one to avoid entirely. The previous year of 1968 had been one of Monk’s roughest, with more time spent in hospitals, rather than clubs. His long time rhythm section finally had to leave him for more work, and only saxophonist Charlie Rouse remained, who was also having problems of his own. Monk’s performances during this time had become spotty and many assumed his career was about over. So it was, in late 1969, Monk and Rouse set out for Europe with a young inexperienced rhythm section in an attempt to prove they still had something to say. “Paris 1969” was recorded on the last day of that tour, and the big surprise is that Monk and his young band sound great. 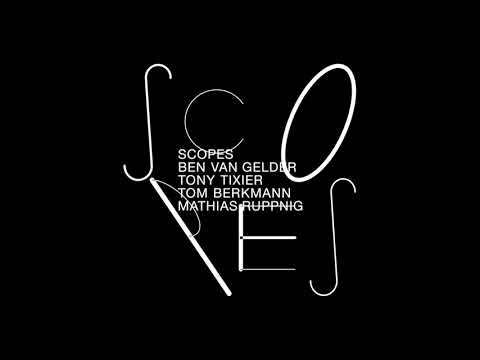 There are no big surprises on the first two sides of this four sided collection, on which Monk and his band play spirited renditions of well known Monk favorites. This is probably not the most exploratory playing from Monk and Rouse, but they aren’t exactly loafing either. 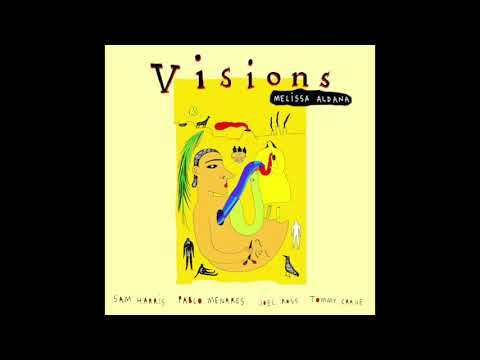 The rhythm section is made up of two young unknowns, (Nate Hygellund on bass and Paris Wright on drums), who were never heard of much again outside of this recording, but they both turn in very strong performances. On side three things change up a bit when Monk plays a few numbers solo. The old school stride version of “I Love You Sweetheart of all my Dreams” is a real treat and must of sounded like a rare jewel during the heavy-handed musical environment of 1969. Also nice is Monk’s solo version of “Crespuscule with Nellie”, a tune that makes a lot more sense the way Monk plays it solo, as opposed to band versions which seem clumsy in comparison. On side four things change again when Philly Jo Jones takes the drum chair for the last couple numbers. As mentioned earlier, Paris Wright is a solid and even inspired drummer, but Philly Jo is an absolute master of rhythm. Philly Jo’s drum solo on “Nutty” is a textbook example on how a good drummer can expand on the rhythms of the melody through increasingly imaginative variations. The concert closes with Monk and Philly Jo playing short versions of “Blue Monk” and “Epistrophy” that reveal what Monk’s music can really sound like. It’s a bit of a tease coming at the end of the album like it does. Probably the biggest negative issue with this album is the sound quality. This concert was recorded for TV, and it sounds like a TV broadcast, which means it sounds much better than a bootleg, but not as good as a studio recording. Monk’s music is purposefully coarse and dissonant in the first place, so possibly a rough recording shouldn’t be a big issue. 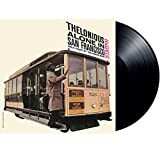 When Thelonious Monk recorded “The Thelonious Monk Orchestra at Town Hall” in 1959, his career was at a peak, no longer a sometimes derided outsider, Monk had finally emerged as a ‘living legend’, and a recognized leading architect of modern jazz. The concert, at which ‘at Town Hall’ was recorded, received much attention because this was to be Monk’s first attempt at presenting his music in a big band format. Initial critical reception to Monk’s big band performance was somewhat tepid. Many felt that Monk’s band members didn’t really get his music, nor his feel for rhythm, but many years later, after our eardrums have been pummeled with barbaric volume, such idiosyncrasies are probably barely noticeable anymore, ha. But seriously, this recording has aged well, and although Monk’s orchestrations are not particularly revelatory, the combined effort of all the musicians on here results in an imaginative, if somewhat quirky, late 50s hard bop LP. To get help orchestrating his first big band album, Monk enlisted longtime fan and big band arranger, Hal Overton. The two worked painstakingly on several Monk originals before they called in a band for some rehearsals and then the concert/recording. Despite his well deserved reputation as a composer and innovator, Monk’s orchestrations are not particularly remarkable, but as can be expected, a little bit odd. The choice of instruments favors the low end sounds, and Monk uses this to paint dark murky colors. 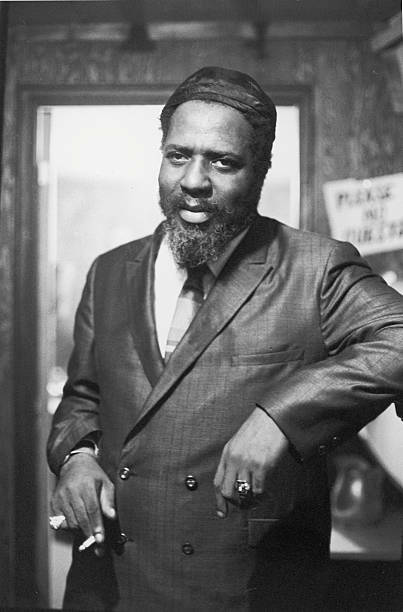 Similar to his piano playing, much of Monk’s ensemble arrangements are almost simple and plain. His best use of the orchestra comes when he is able to add contrasting lines to his melodies, lines that were often only implied by his piano. A big plus on here is Monk’s band mates, a virtual all-star crew of jazz talent at that time, including; Donald Byrd, Phil Woods, Charley Rouse, Pepper Adams and more. Phil Woods in particular shines with his ‘bird like’ flight on “Friday the 13th”. On “Little Rootie Tootie”, the entire front line of the band plays Monk’s original recorded solo as a unison solo. The end result of so many horns trying to stay together on such a jaggedy solo results in some humorous train wrecks. Monk’s playing is brilliant throughout, but especially on “Monk’s Mood” where his rhythmic shifts produce almost hallucinogenic effects. Overall, this isn’t one of Monk’s best, but it still rates high in his discography, and due to the big band format, partly as a curiosity. Although Thelonious Monk’s contributions to jazz are highly regarded, it doesn’t mean that everything he recorded was gold. Especially towards the end of his career, Monk’s performances could be inconsistent or uninspired. Also, with shifting band personal, Monk sometimes had to work with musicians who did not exactly click with his difficult music. This leads to the question, which of his albums show Monk and his band at their best? Amongst possible candidates for this honor, the live set “Misterioso” rates very high. Not only is Monk on fire here, but he has an excellent band too, with the always imaginative Roy Haynes on drums, rock solid Ahmed Abdul Malik on bass and the high flying Johnny Griffin on tenor sax. In fact, Griffin’s soaring performance almost steals the show. There are only two Monk albums that feature Griffin, the other one is “Monk in Action”, which is the other half of the live set that makes up this disc. “Misterioso” was recorded in Augaust 1958 at NYC’s Five Spot at a time when Monk’s career had just peaked, and the new avant-garde, which would make Monk no longer appear to be such an iconoclast, was just starting to appear. Surely Johnny Griffith’s astonishing rapid flow of notes is an under-rated predecessor to the new free jazz stylists. Griffith’s ‘sheets of sound’ tend to stay tonal, but the sheer intensity of his playing was a ‘new thing’. Some early critics felt Griffith’s excessive approach was at odds with Monk’s well-timed minimalist approach, but the two musicians actually compliment each other well, and both sound very happy to interact with each other’s direction and vision. Roy Haynes also contributes to the rhythmic interplay, and adds some excellent drum solos that demonstrate how a creative drummer can convey, and re-construct, the melody of a tune. For Monk collectors, “Misterioso” is a must have, and for those wishing to check out his music, this is a great place to start. The almost kitsch beat-era album cover is a plus too. No THELONIOUS MONK movie reviews posted yet.